Jeff Lowenfels, author of the best-selling Teaming with Microbes, now turns to plant nutrients-what they are, how they work, how they get inside plants, and what they do once they get there. 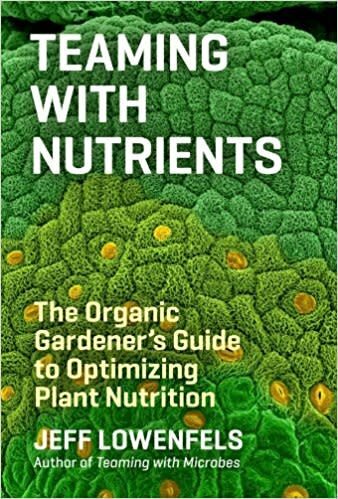 In easy-to-understand language, he illuminates the science behind plant nutrition and offers 100 percent organic recommendations on what to feed plants, including fertilizer recipes tailored to specific kinds of plants. Teaming with Nutrients is sure to open your eyes to the importance of understanding the role of nutrients in healthy, productive organic gardens.